When you tap on the autoscroll button for the first time, or if you tap and hold on the autoscroll button in the live bar, the autoscroll menu appears. In this menu you can configure either linear or non-linear autoscroll depending on when tab you choose. Tapping gone this tab and keeping it selected will cause autoscroll to scroll from the top to the bottom of the song smoothly over the set amount of time. Tapping on this tab and keeping it selection will cause will playback the events that you record within the tab. This allows for non-linear autoscrolling since you can configure it to scroll back and forth to different parts of the song. Set the duration of the song in the Duration tab. Tap on the Timeline tab and record your timeline. OnSong records the original duration of the song to the timeline. 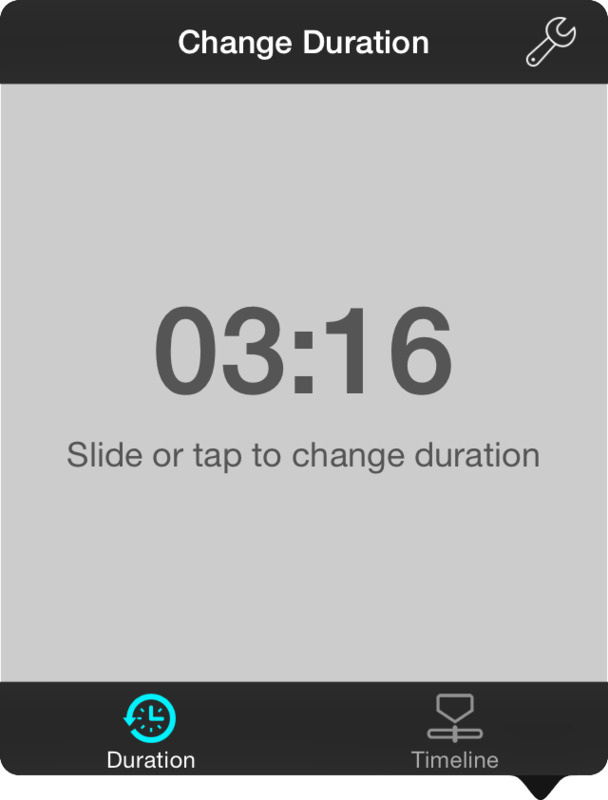 Return to the Duration tab and adjust the duration to change the speed of autoscroll. OnSong will adjust the delay between events to adjust for the difference between the original and new duration.